Thank you for visiting my second grade page for language arts! 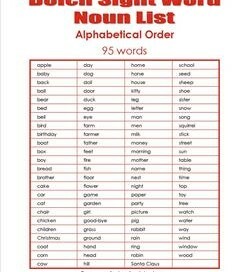 I’ve been concentrating on creating worksheets for kindergarten and first grade, however, I do have a few things posted for second grade. 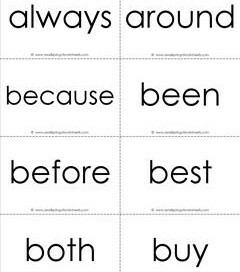 You’ll find some basic sight word resources and some counting worksheets, too. 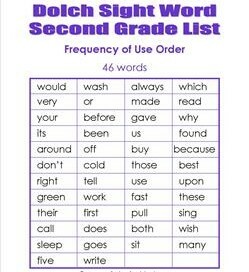 The sight word resources are Dolch and Fry words. 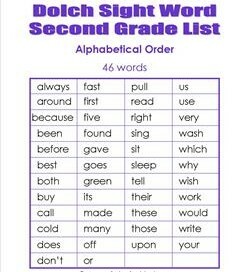 We have color-coded sight word lists and sight word flash cards. 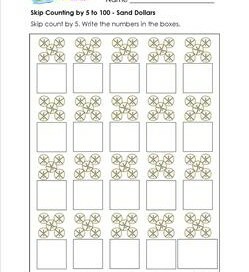 A very basic skip counting by 5 worksheet with spring flowers. Start small with the basics, get these skills down and build from there. 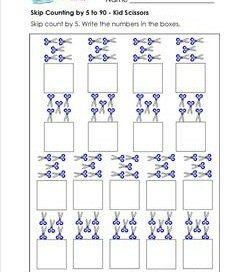 Skip counting by 5 has never been so military. What??? 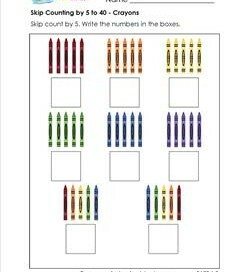 These crayons are standing straight and tall in formation ready to do some serious skip counting! 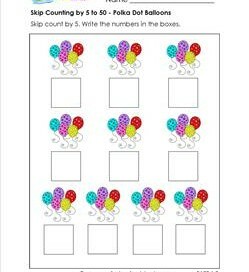 Time to celebrate and have some fun while skip counting by 5 to a big whopping 50! Do a wiggle and a jive while you’re counting by 5! Woohoo! 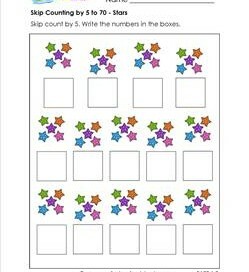 Start skip counting by 5 before these fun stars floating by in groups of 5 disappear into the nighttime sky! Blue, green, pink and purple … these fat but pretty pencils are arranged by color groups. 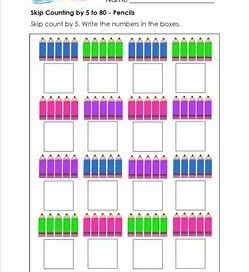 Skip counting by 5 could never be made easier! Cutting right, cutting down, cutting left, cutting up. 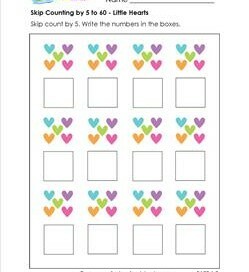 No matter which way you cut it, this skip counting by 5 worksheet will make the cut with your kids! 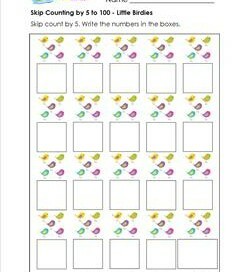 Colorful little birdies come singing to cheer your kids on to skip counting by 5 all the way up to 100! 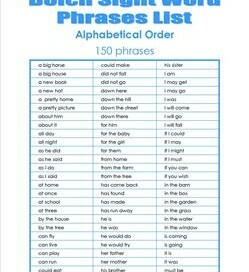 Simply fill in the blanks starting with 5. Baa! Baa! say these cute little curly haired sheep. They’ve strolled onto the pages of this skip counting by 5 worksheet … in sets of 5 no less! 5, 10, 15, 20…keep counting all the way up to 100 or $1.00. 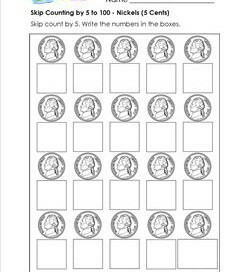 Once kids fill in all the blanks they can count how many nickels are in a dollar.